If you don’t eat the right kinds of foods, and consume the right amount of calories, you won’t be able to perform as you normally would. This is not only dangerous and unhealthy, but it’s also frustrating because you won’t be performing at your optimum level. Just like you put fuel in your car in order to take you from point A to point B, you need to consume enough calories, from good healthy foods, in order to boost your energy and enable your body to perform at the highest levels. World class champions and your favorite sports stars know all about sports nutrition and they live by it daily. Without it, they wouldn’t be where they are today. Many athletes get caught up in the weight loss mindset. This is when they think they are too fat because of the media and Hollywood standards. An athlete who wishes to perform should never be in this mindset. As long as they follow sports nutrition basics, they will be able to shed the excess fat while retaining their muscle. The problem comes when they try to restrict their calories. This has a hugely detrimental impact on their goals. Firstly a lack of calories will leave you feeling faint and sick during your workout or activity. If you want to push yourself you should never restrict your calories. Secondly, vital protein will be called upon for energy taking it away from its primary job of muscle repair and growth. Therefore by eating healthy foods in the right amounts and following the sports nutrition basics, you’ll find yourself at a healthy weight. If you feel that you’re bigger than you should be, it’s likely that you have more muscle than the average person and that’s what you’re seeing. You’re maybe not necessarily fat, you’re maybe muscular and you need that muscle to perform at your best. If you’re not sure what to eat or how much to eat, find a nutritionist. 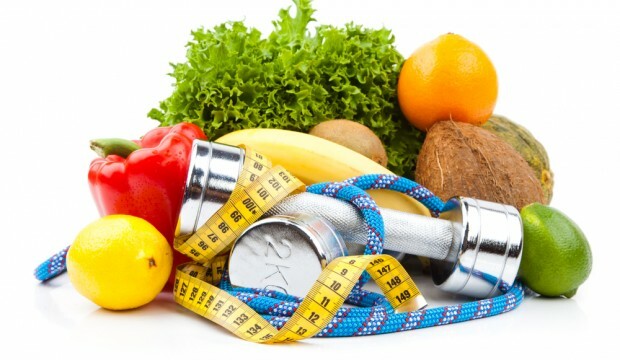 A nutritionist will take down your measurements, how much you weigh and will question you about your sports activities. Then your nutritionist will design a sports nutrition plan for you. Sometimes they may even include sports nutrition supplements . Try this for two weeks and it’s guaranteed that you’ll find yourself feeling better, you’ll have more energy and your sports performance will shoot through the roof. This is what you get when you follow sports nutrition basics and these basics are something every active person should know and live by. Nutrition software can be just as useful, if not more useful, as a nutritionist as you can have access 24/7. The software can be used as your very own personal nutritionist with the ability to tailor nutrition plans to your suit your personal needs. One of the best nutrition software products is plan:one – online nutrition expert. The Most Powerful Interactive Fitness Nutrition Program in the World! Plan:one is being used by bodybuilders and athletes alike to achieve the body they desire.